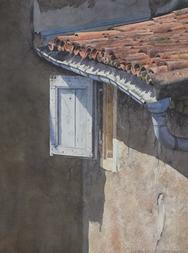 Learn to paint Tuscany in plein air with Robert J. O�Brien AWS NWS in a five day workshop. 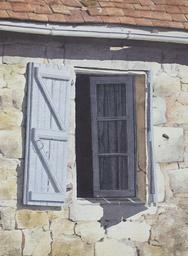 Students will learn some basic techniques of painting outdoors such as finding a subject, recognizing good composition and painting techniques which will allow the artist to finish a painting in a limited amount of time. 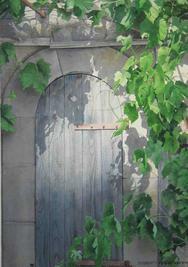 Students will also learn how to recognize values and how value relates to light, shadow and color. Critiques and class discussion will also be part of the workshop. The instructor will do a demonstration each day and the class will paint along with and after the demo. Group Meal Plan...2949.00 per person! I use a 9in x 12in. Guerrilla Paint Box. I find them very compact and portable. They are generally mounted on a tripod. Both items can be carried in a large suitcase. You can store just about all of your other supplies like pencils, brushes, paints and pallet in the box itself. I prefer to stand when I paint but there are folding stools, which can be easily transported and are plenty sturdy for those who prefer to sit. Umbrellas are optional and can be awkward to travel with, though they are very useful in a mostly sunny environment. There are plenty of shady spots to paint from.